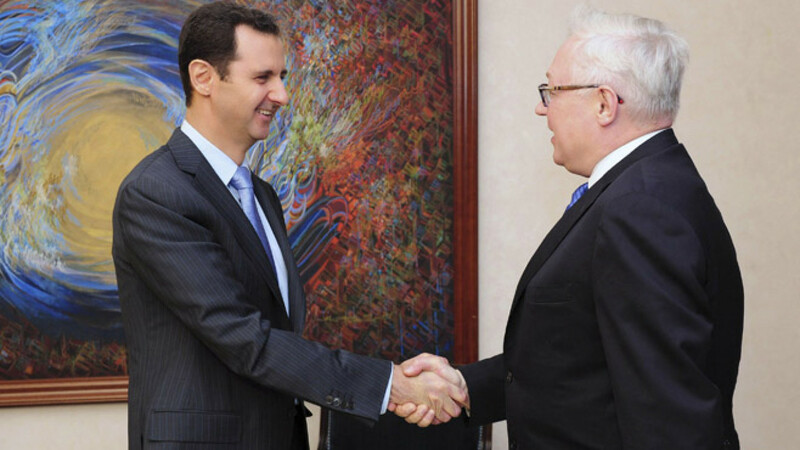 Syria’s President Bashar Assad shakes hands with Deputy Foreign Minister Sergei Ryabkov on Saturday. As Iraq received its first shipment of Sukhoi fighter jets from Russia on Saturday to combat a radical insurgency seizing major cities, Moscow took a swipe at the West for "playing into the hands of terrorists" in the region. Iraqi Prime Minister Nouri Maliki announced last week that the country had secured a deal with Russia and Belarus on the purchase of fighter jets to quell the spread of the Islamic State of Iraq and Levant, a group of Sunni militants who have wreaked havoc in recent weeks using methods so brutal even al-Qaida has disavowed them. The militants' rapid spread across northern Iraq has put leaders worldwide on edge and triggered calls for urgent military measures to prevent ISIL from gaining control of more territories. The organization, estimated to have about 6,000 members in Iraq alone, is also one of the main groups fighting the government forces in Syria. 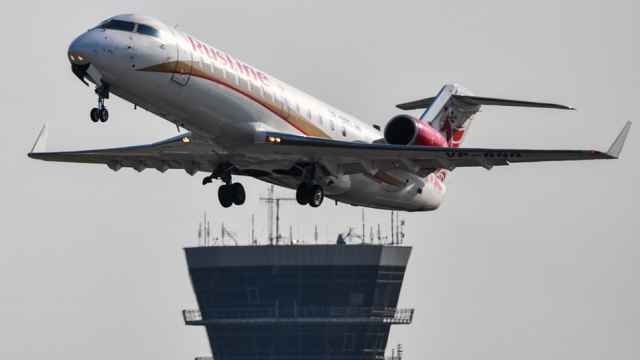 The deals for the fighter jets, which were expedited due to the "emergency situation in the country," are worth up to $500 million, BBC News reported. A statement on the Iraqi Defense Ministry's website on Saturday confirmed that five Su-24 jets had been delivered and stationed at various air bases, saying the jets would boost the "combat capability of the Air Force and the armed forces to eliminate terrorism." Russia's delivery of the jets seems to be the latest sign of its growing influence in the Middle East. During a visit to Damascus on Saturday, Deputy Foreign Minister Sergei Ryabkov called on the U.S. and Europe to jump in and help fight the rising tide of terrorism in the region, urging the West to follow Russia's example of "not standing idly" by while terrorist groups seize control of more and more cities in Syria and Iraq, The Associated Press reported. The U.S. has also stepped in, having announced last week that up to 300 military advisers would be sent to Iraq to assist Iraqi troops. But that seemed to be too little, too late for Russia's Foreign Ministry, which pinned the blame for growing instability in the Middle East on the West in a statement on its website on Saturday. The ministry condemned the latest United Nations Human Rights Council resolution on Syria as "one-sided and politically biased" for placing the blame solely on Syrian government forces. The resolution fails to acknowledge "the threat to human rights from jihadist gangs whose actions are aimed at destabilizing the situation in the entire region," the ministry said, adding that Russia's proposal to condemn the bloodshed by ISIL was ignored. Such moves by countries including Britain, Germany, Italy, France and the U.S., give reason to believe that their goal is not to stop the crisis, but to "continue destabilizing the situation in the country regardless of the consequences," the statement said. "Fewer and fewer countries are ready to follow those who continue their irresponsible course of action for a violent power change in a sovereign state, neglecting the interests of regional security and playing into the hands of terrorist groups leading the war in Syria, Iraq and other countries in the Middle East," the statement said.